Want to see all the technologies used by pricecheck.co.za? After being established in 2006, PriceCheck joined the Naspers group in 2010. Since then it has continued to shape the African e-commerce sector as South Africa’s leading price comparison destination, whether online or mobile. We give you the ability to compare millions of product prices, across thousands of categories, from literally hundreds of stores, all from your browser or mobile device. By bridging the gap between bricks-and-mortar retailers and their online shops, we bring the power of a mobile mall right to your fingertips. To aid in unifying our customers’ shopping experience we were responsible for building the first African mobile barcode scanner into our app. 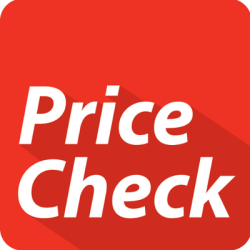 For a quick look at additional technographic info on pricecheck.co.za or any domain on the web, download our Chrome Extension. Check out our help article to see how Datanyze Insider can help you.